There’s a number of pokies themed around superheroes but the problem with any game that’s licensed to use a character is that the returns to players tend to be a little lower, as the holder of the license wants their share as well. IGT have got around this by inventing their own superhero team in the Natural Powers pokie that sees 4 female heroes, each with their own abilities in a game that’s filled with features and of course, has a pretty low house edge for players to contend with. 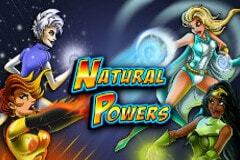 Presented in a classic comic-book style, these ladies are named Wind, Fire, Earth and Ice, and after any spin, different in-game features can be triggered by each, or they can combine together in a super team to trigger a free spins round. Wild substitutions and IGT’s Freefall Symbols feature are also there, so anyone who is looking for an action packed comic style game should find Natural Powers to be a good choice. Playable from 0.60 to 60.00 per spin, it’s not the cheapest pokie around and those players who like to make tiny wagers may be put off by the relatively high entry point. There’s 4 rows of symbol laid out over 5 reels and 40 fixed paylines running across the game. Skyscrapers sit behind the see-through reels and the control panel buttons are made to look like the speech bubbles of comics, while above the game, the different features are highlighted one at a time. Players are looking to see 3, 4 or 5 of the same symbol type come to a stop across any of the 40 lines on connected reels running from the left side. In order of value, we see a couple of stylish representations of wind, fire, ice and earth that pay out 10, 20 or 100 coins when landing across a line. Earth and Ice are the heroes that are worth 10, 60 or 300 coins, Fire and Wind return 60, 200 or 800 coins when they land on 3, 4 or 5 reels and lastly, the game logo pays 100, 500 or 4000 for the same combinations. 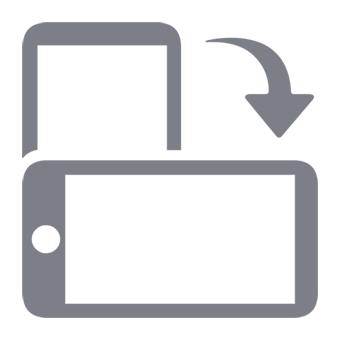 Any winning spin will see the symbols that created the line disappear in a feature called Freefall Symbols. This leaves empty spaces for any symbols above to drop down in to, and new symbols to appear from above the reels, potentially creating a new winning line or more, that will in turn disappear and repeat the process over and over until no wins are landed. A cartoon wild symbol will act as all except the bonus to complete winning combinations, or extend lines across extra reels for bigger payouts.After any spin, a random bonus feature can be triggered by one of our supergirls. Wind will blow any Fire and Ice symbols off the reels, which might not be very friendly towards her team, but will cause the reels to Freefall again and hopefully make another win. Fire does much the same thing but actually burns away her friends Wind and Earth, while Earth has the power to remove random patterns of symbols and Ice will freeze random symbols away. The bonus symbol sees the girls back together as a team and when 3 land at once, or 2 appear on the reels and cause a third bonus symbol to turn up in a Freefall, the free spins round is triggered. Players get to pick a character before the spins begin and each girl starts a different number of games with different multipliers applied randomly to any wins throughout them. Fire has 5 spins and wins multiplied by between 3x and 10x, Wind triggers 8 free games where wins are multiplied 4x to 10x, selecting Ice sees 12 free spins play out and random multipliers of between 3x and 5x, while Earth awards the highest number of spins but the lowest potential multipliers with 15 games and between 2x and 4x. So it’s up to players to decide if they like extra chances to get a win or fewer games but the potential for bigger rewards. This is an excellent game that has a fun theme, design and gameplay. Even the base game has enough features to bring in lots of wins, with Freefall Symbols possibly landing several winning combinations in a row, while the wild substitutions complete even more lines which then of course, disappear. Free spins where players can decide on the level of volatility are a nice touch, but it’s worth noting that random multipliers are exactly that, and the wins may be at the lower end of the scale. But that, and the 0.60 minimum stake are about all the criticisms that can be made of this outstanding pokie.